Next, add your chicken stock and milk to the pot; Simmer for 3-5 minutes on medium-low, until milk becomes frothy. Then add the carrots and broccoli to pot, letting the soup simmer uncovered on medium-low heat for 15-20 minutes, or until broccoli becomes soft. When broccoli becomes soft, turn off the burner, and stir in cheese; Serve hot. 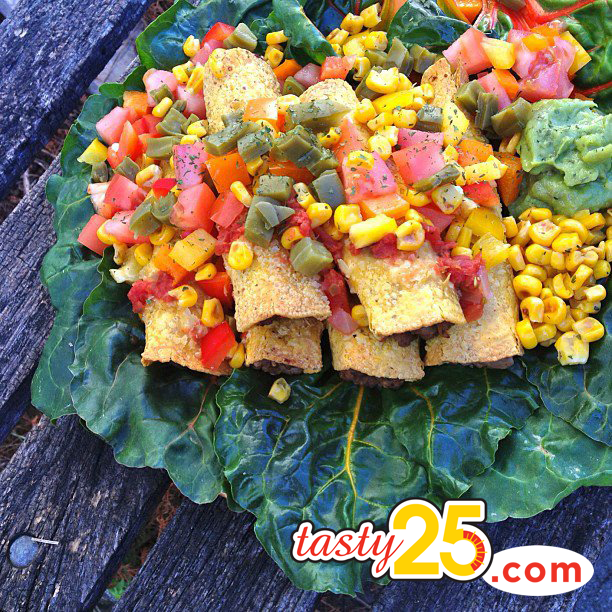 Thanks Andie for sending in this wonderful arrangement to Tasty25 Magazine! What’s your Tasty25 creation? 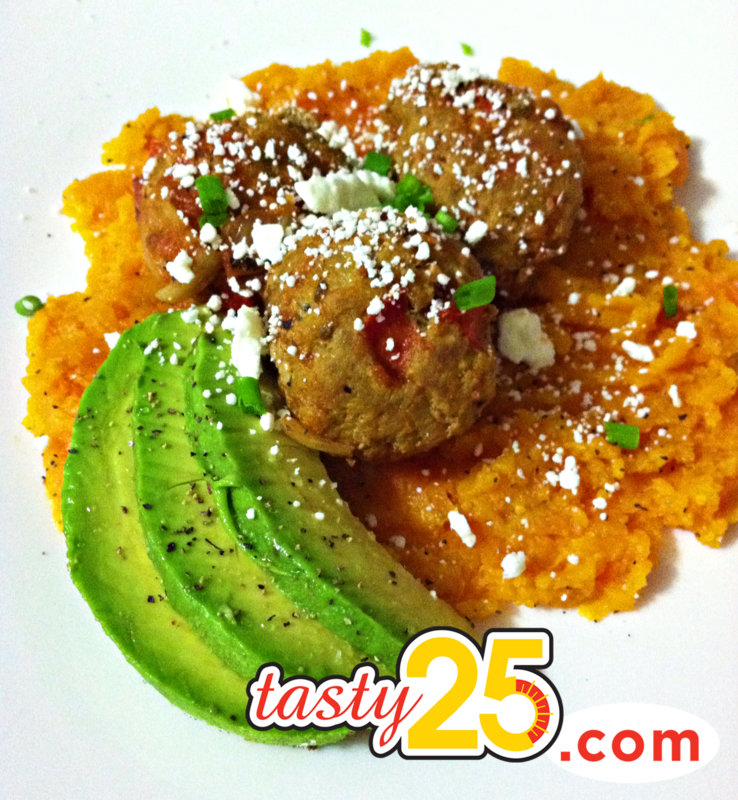 Send in your recipe, and be featured on Tasty25 by going to the “Submit Your Tasty25 Creation” page. 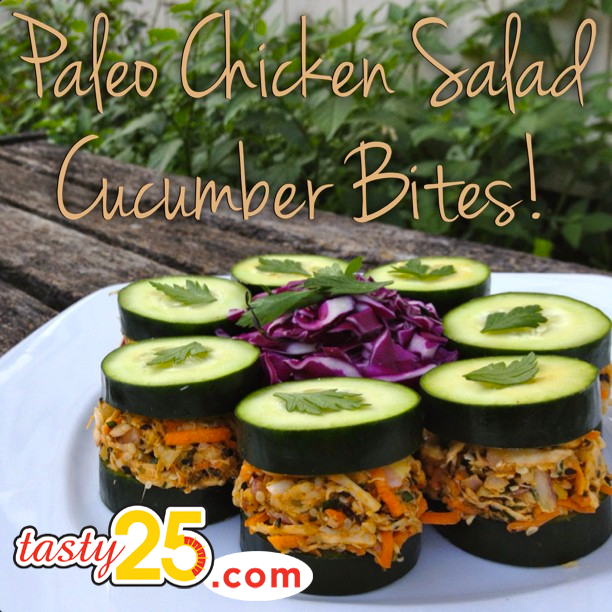 Paleo Chicken Salad Cucumber Bites! CALORIE COUNT: 255 Calories Per Serving; SERVING SIZE: 349 grams. Place a large skillet on the stovetop, and cook your chicken breasts in olive oil for 8-10 minutes, turning every 90 seconds; after your chicken is thoroughly cooked, shred chicken in a bowl, and set aside. Next, with your cucumbers set aside, mix all of the spices, avocado, apple cider vinegar, and Veganaise together; set aside. Then, mix all of your remaining ingredients, including the shredded chicken, in a separate bigger bowl. Take your cucumbers, and cut them into 1/2 inch slices; then mix together both bowls of ingredients. Place 1 Tbsp. of the chicken salad mixture in between 2 cucumber slices; repeat, and serve immediately. Amber Constant is Tasty25 Magazine’s “Foodologist” from New Orleans, LA. CALORIE COUNT: 320 Calories Per Serving; SERVING SIZE: 161 grams. Next, add the buffalo meat and seasonings; Cook for 5min or until browned; Add your cooked quinoa, and stir until evenly distributed. Add in goat cheese, salsa, bean spreads, and additional seasonings if needed; Stir until evenly distributed and heated for 2-3 minutes. Smoked Salmon & Cream Cheese Lox! Place the onion bagel halves in a toaster; Toast on medium heat until lightly crispy. Spread 1 Tsp. of cream cheese onto all 4 bagel halves; Place 2 salmon lox on top of each of the bagel halves. 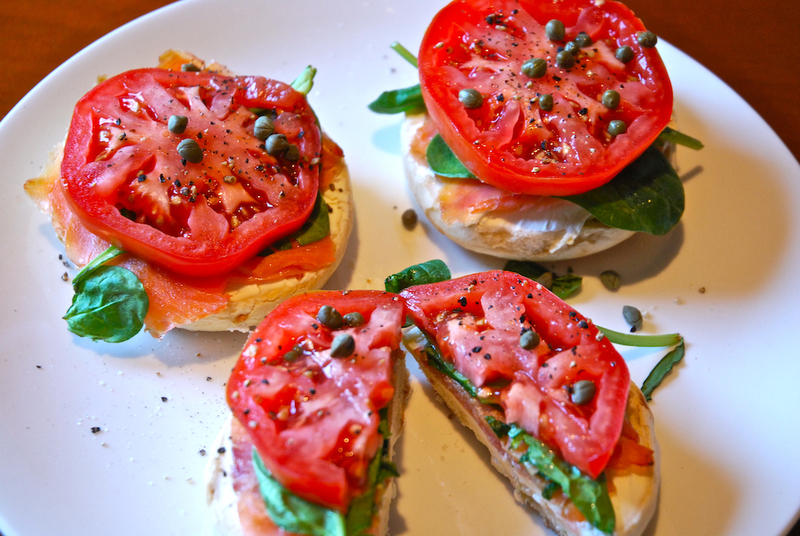 Next, add a tomato, 4-5 leaves of baby spinach, and a few capers to each bagel slice. Evenly sprinkle the 1 Tsp. of black pepper & the 1/2 Tsp. on top of each of the bagel halves; Serve immediately. Thanks Austin for sending in this wonderful arrangement to Tasty25 Magazine! What’s your Tasty25 creation? 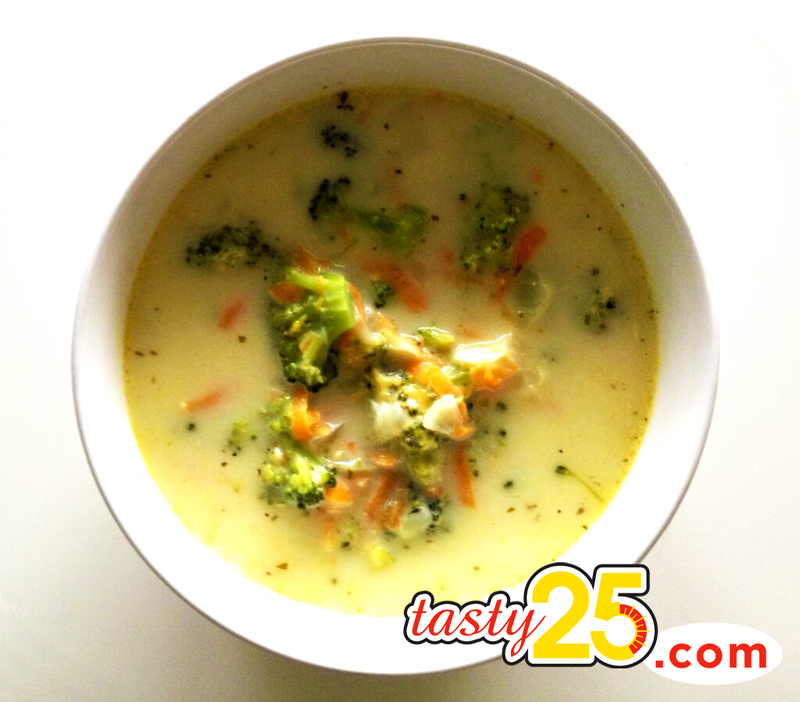 Send in your recipe, and be featured on Tasty25 by going to the “Submit Your Tasty25 Creation” page. The Editor’s Own: Honey Glazed Baby Carrots! Hi Tasty25ers! I have an awesome new personal recipe for you; but first i’d like to say that it’s been SO inspiring to receive great new recipes each week from individuals all across the world, who made the decision to take a few minutes out of their day in order to share the gift of healthy nutrition. Since we launched in February of this year, our food conscious community has grown by leaps & bounds, and we now have THOUSANDS of subscribers to Tasty25 Magazine through our site and social networks! Is this not amazing, or what?! I surely think so! 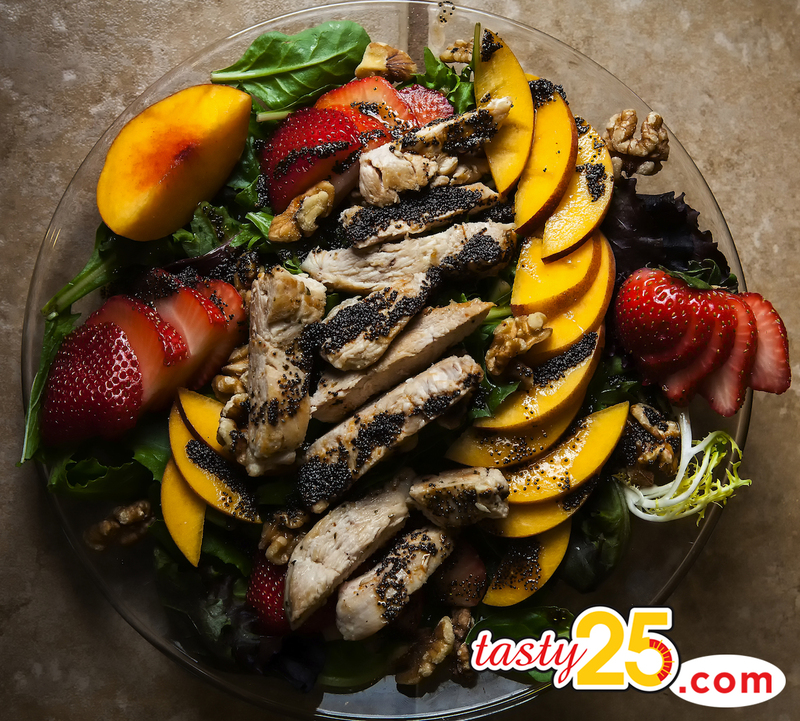 Join our healthy eating community and stay connected with us by placing your email address in the subscription sidebar on the right, and tell your friends & family about the great things we’re doing at Tasty25! 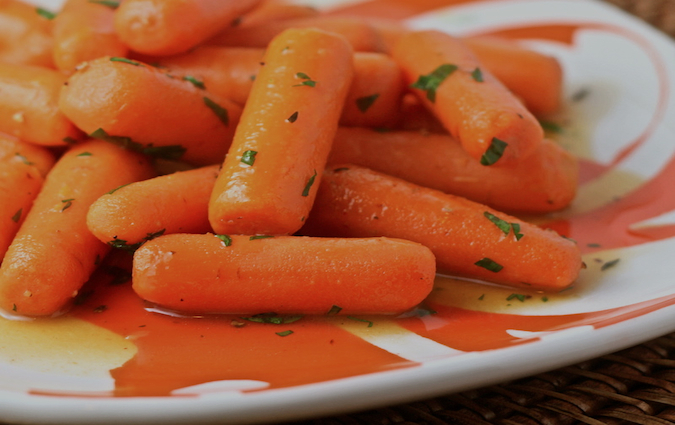 Combine your carrots, water, honey, butter, and the salt in a large skillet; Bring all ingredients to a simmer over medium-high heat. Cover the skillet, and cook until tender for about 5-7 minutes. Uncover and cook, stirring often, until the liquid is a syrupy glaze, 1 to 2 minutes. Stir in lemon juice, the grated lemon peel, and pepper.